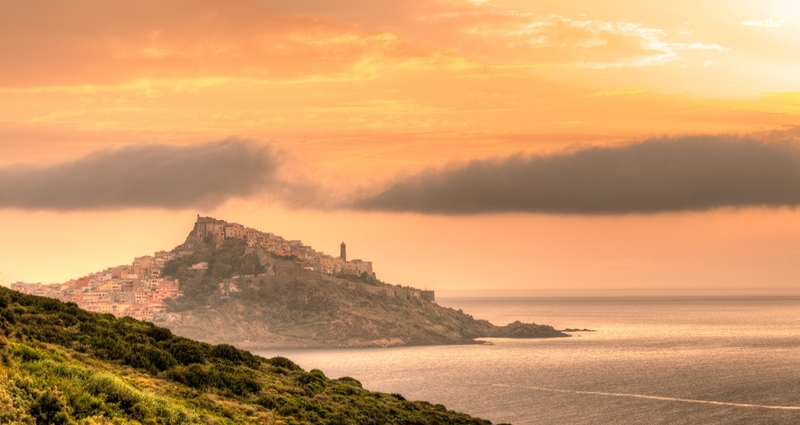 Sardinia is not usually in the top 10 of the travelers’ wishlists. But after a week on the Italian island we are more than sure it’s worth it. 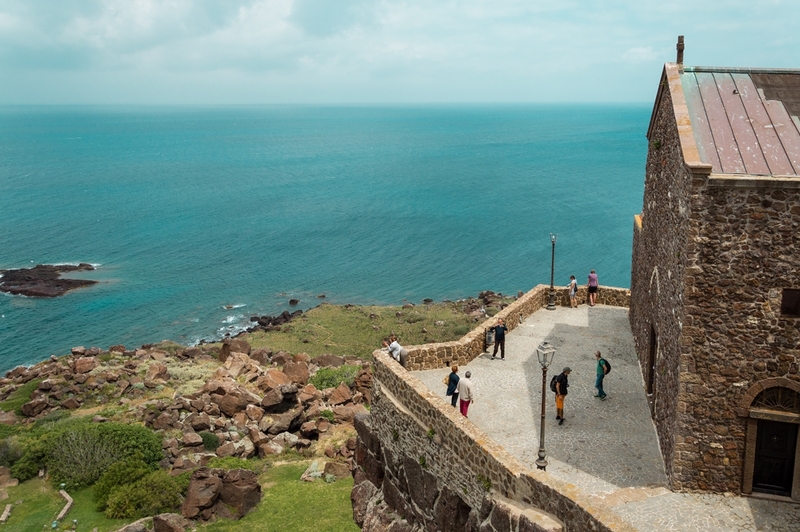 It’s a truly diverse land with an ever changing landscape – from rocky seashores to red mountain peaks, vineyards and ruins from ancient civilizations. 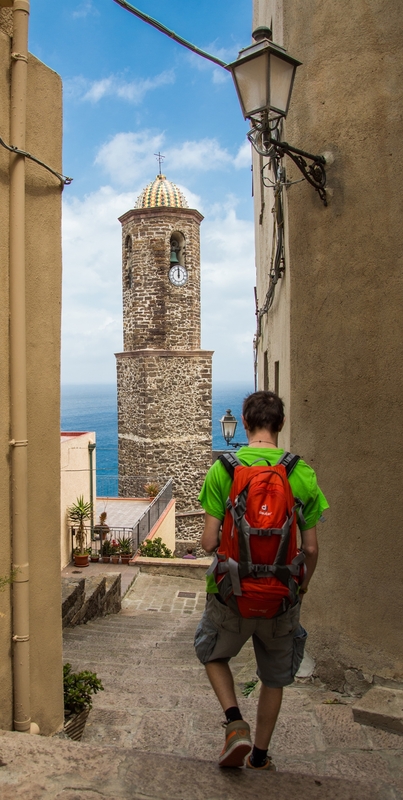 If you like small colorful towns with friendly people and no crowds of tourists, you should visit Castelsardo in Sardinia. Bonus: a tiny sandy beach and turquoise water. 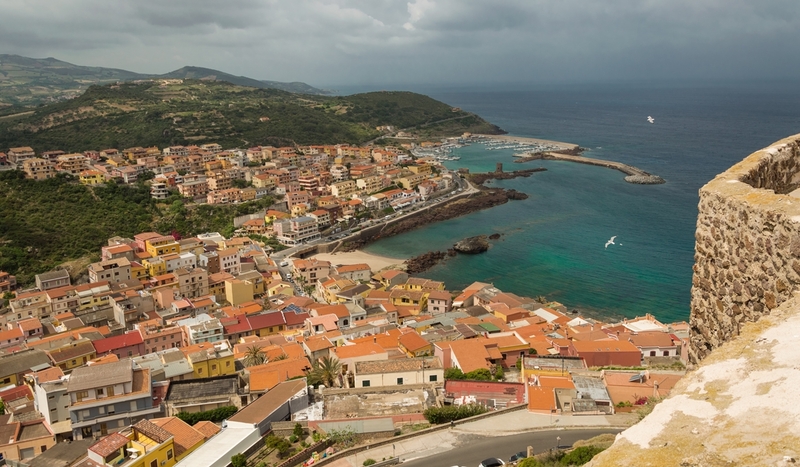 Amazing views from the castle – Castelsardo is located on a small, rocky peninsula in the north of Sardinia. The historical town is built on the top of a hill. When you climb it, enter the castle. You will have to pay a small fee (around 3 euro) but the amazing 360-degree view from the top will make you want to come back to the ticket lady and pay again. Among the ancient walls of the fortress there are a few rooms of the Mediterranean Bonds Museum (Museo Dell Intreccio Mediterraneo) where you will understand more about the past of the region while listening to Medieval-style music as if coming from the walls. Sant Antonio di Abate Cathedral on the edge – no, we don’t suggest you say your prayer here, although it is hard not to feel the urge to do so when you arrive on the edge of the hill. The cathedral has a multicolored dome which you can see from afar and a beautiful view to Castelsardo and the port from its small terrace. 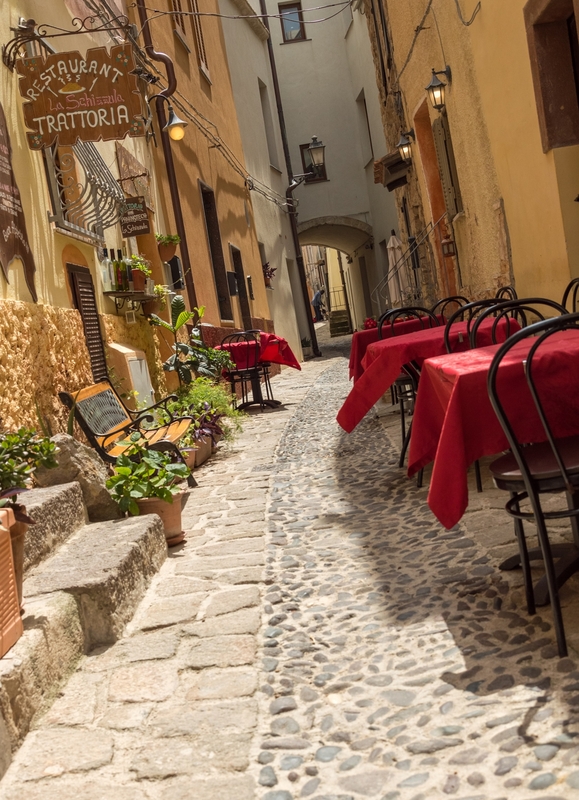 Roam the tiny winding streets of the old town – you don’t need a guidebook to find your way among the narrow cobble-stoned streets of the old town. Just walk and try to guess what’s behind the next turn. 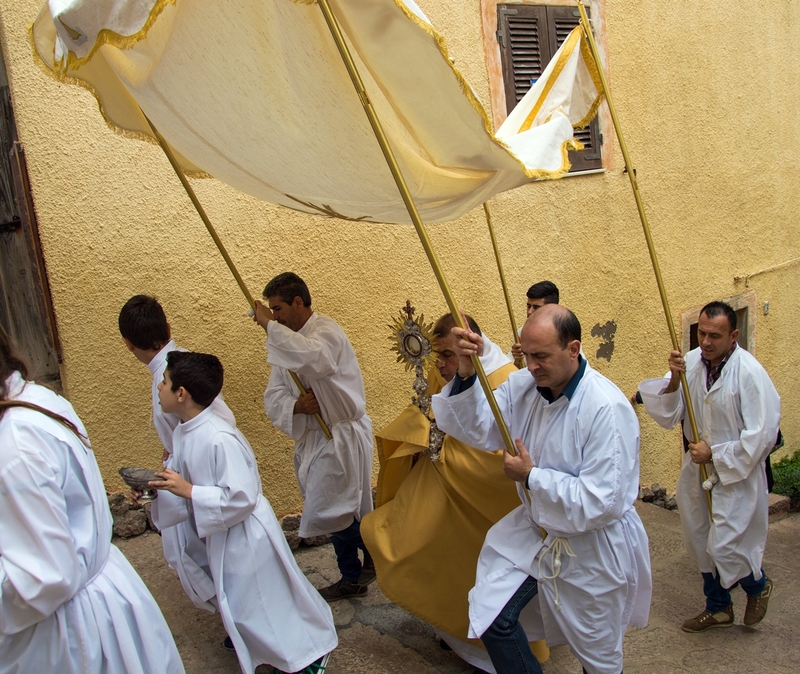 A religious procession? 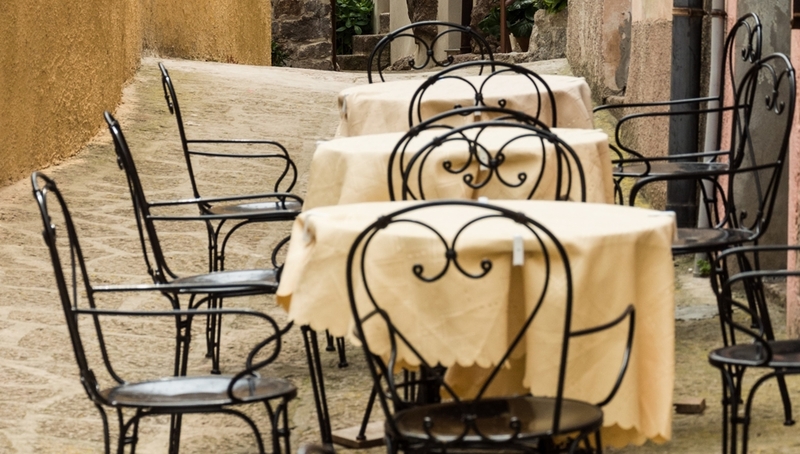 A small family run restaurant? 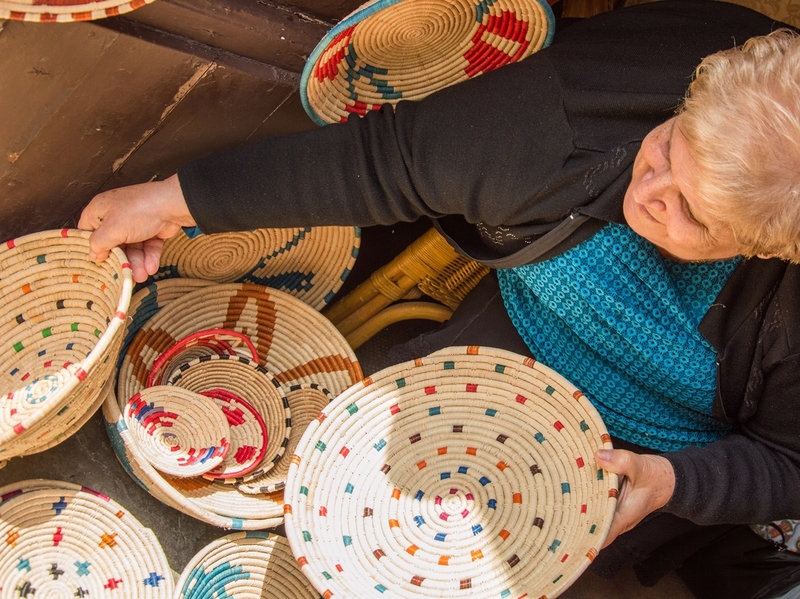 An old lady selling her handicrafts? The answer is: all of them! 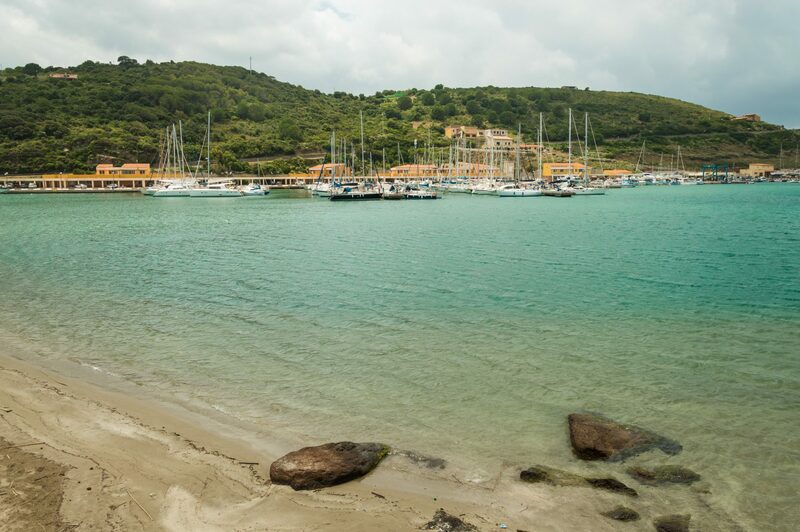 Local wine and Sardinian mirto – if you love and truly enjoy life, follow the locals’ advice and have a glass of Vermentino wine watching the sunset a stone’s throw from the turquoise sea. Vermentino is a Sardinian white wine (if you prefer red – get cannonau). When it’s apperitivo time, order a glass of mirto – a popular liqueur on the islands of Sardinia and Corsica, produced from the berries and the leaves of the myrtle plant. 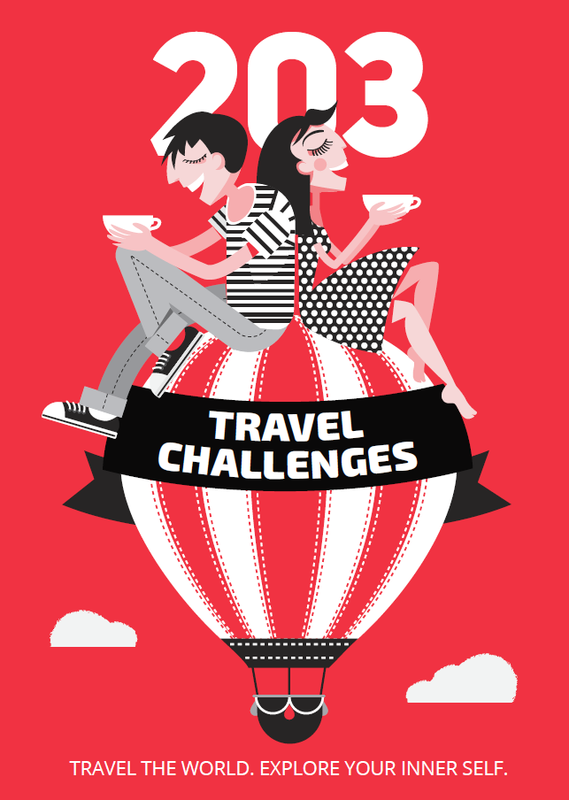 It comes in two varieties – white and red. Beaches in Castelsardo – the coast is mostly rocky but there is a tiny sandy beach with a bar in the new part of the town (below the hill of the old town, follow Lungomare – the seashore alley). 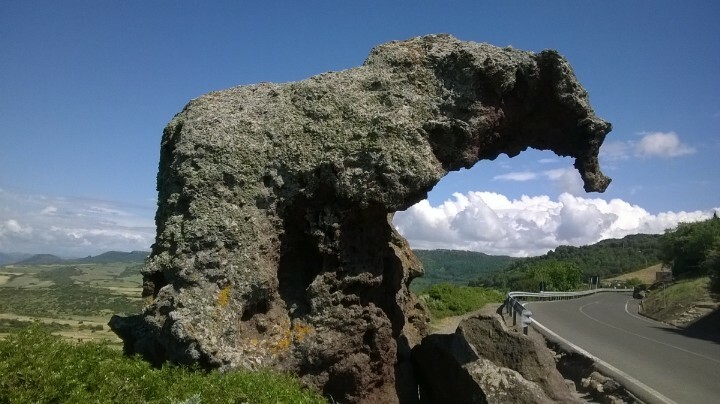 The Elephant Rock – or Roccia Elefante is a real life-sized rock in the realistic shape of an elephant. It is formed entirely by nature. 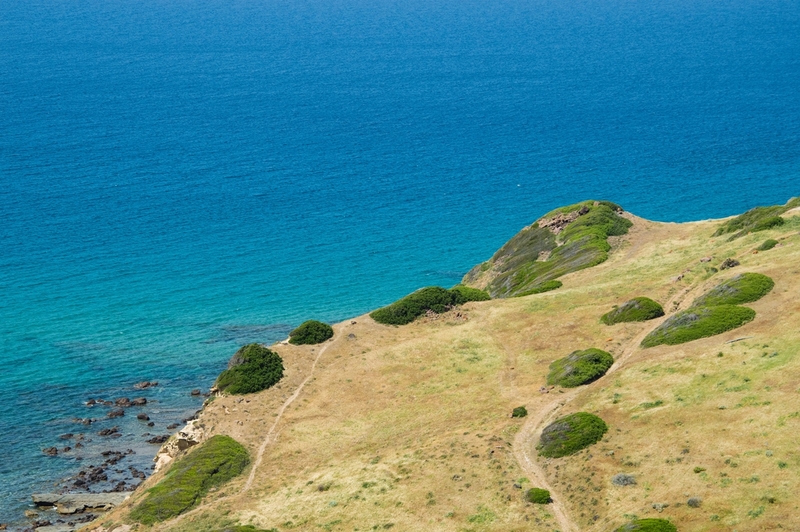 It is situated right next to the road, 4 km from Castelsardo (follow the brown signs, direction Sassari). 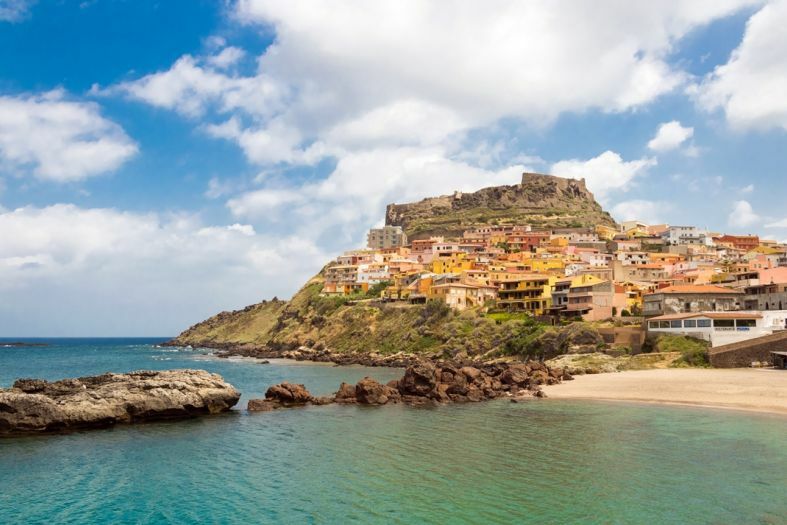 Where to stay in Castelsardo – there are a few hotels in the town (in its new part) but if you stay 1-2 km away from the center, you can find nice resorts perched on the rocks with their own little beaches and an amazing view to Castelsardo during the sunset. 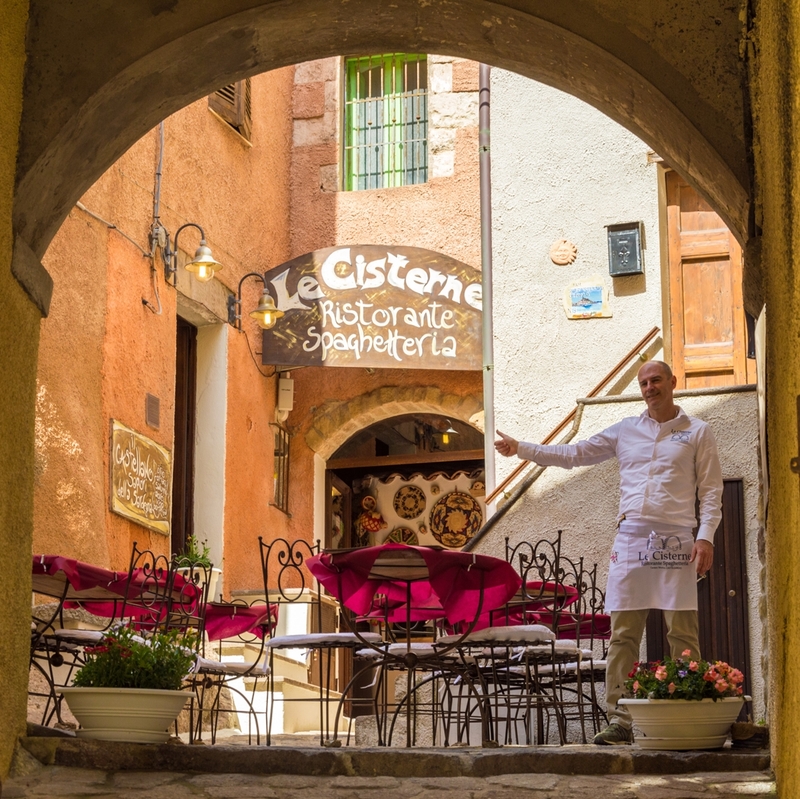 How to get to Castelsardo – Fly to Sardinia, then rent a car (the public transport in Sardinia is unreliable and not frequent enough). 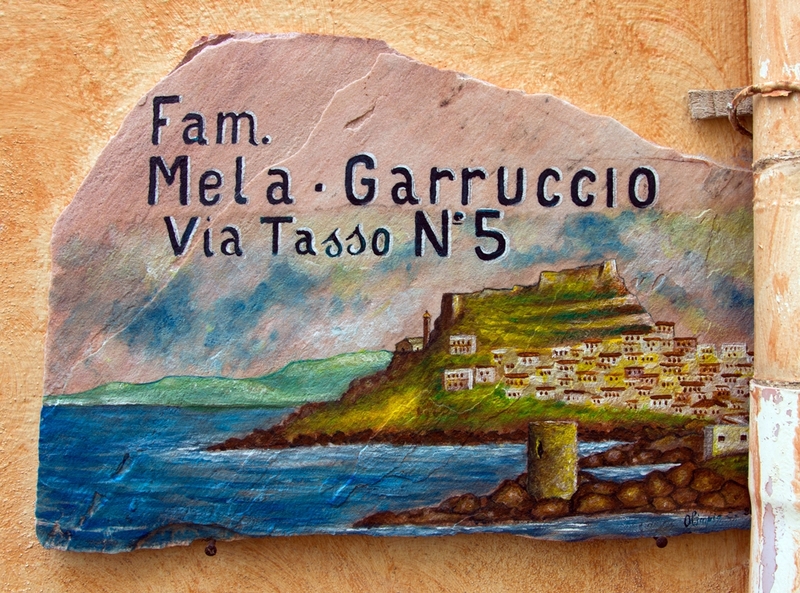 Castelsardo is 70 km from Alghero, 250 km from Cagliari.